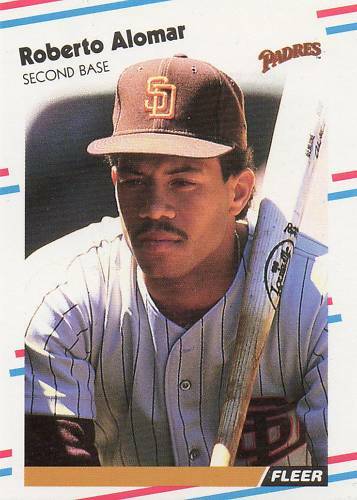 1988 Fleer Update Rookie Card of future Hall of Fame second baseman Roberto Alomar (#U122). MINT. SOLD.